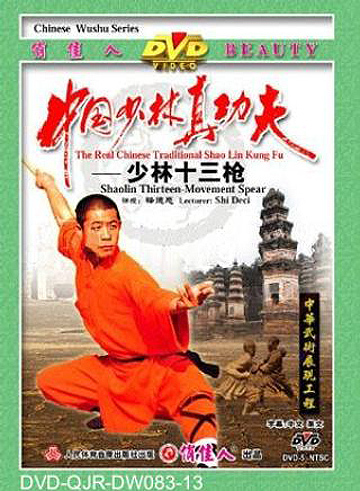 • Shaolin Thirteen Spear (Shaolin Shisan Qiang) is a type of long Shaolin weapon. It is called Thirteen Spear is because it has thirteen types of techniques. This routine is specialized in the repeat use of thrust, raise, cut and chop. The most frequent movements include blocking, thrusting, clouding, twisting, pointing, and parrying. This product was added to our catalog on Wednesday, November 21, 2012.